J MacDonald and Sons is family-run business with roots reaching back to 1979. Over our many years in the fireplace and swimming pool industries, we’ve become renowned for our old-fashioned work ethic, commitment to quality and unrivaled attention to detail. We pride ourselves on innovative solutions and designs that range from traditional to ultra-contemporary, and we offer products to suit all styles of architecture and interiors. No matter the size or complexity of your project, our hands-on, personal service will ensure a seamless experience from quote to completion. From the MacD family to your family, expect only the best. 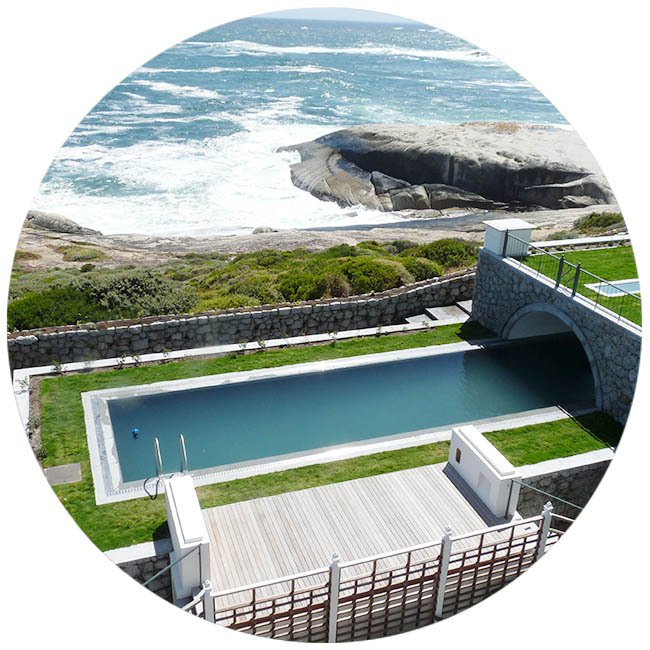 macD is a fully accredited member of the Fireplace Association of South Africa (FASA) and the National Spa and Pool Institute of South Africa (NSPI). These independent bodies are dedicated to maintaining and improving industry standards in the fireplace and swimming pool sectors, and offer customers effective recourse in the event that a member company fails to deliver on its promises. As members, macD is committed to upholding all relevant industry legislation and maintaining the highest quality and safety standards in all our products and services. The macD family has grown to cover both the Western Cape and Gauteng, but our team remains tightly-knit and highly trustworthy. Several of our employees have been with us in excess of 20 years, and we only use subcontractors when absolutely necessary. This, combined with our hands-on management approach, enables us to ensure unrivalled workmanship and a seamless project experience. Clients can also feel completely comfortable leaving our employees unsupervised, indoors or out. We have a long history building strong relationships with our clients based on quality, reliability and service. Here is what they have to say. You are champion, and we are so excited that our pool is complete. ”In my near 60 years of life I have had the misfortune of commissioning the construction of four swimming pools from scratch. Totally hideous experiences - one and all. For further penance l tried to renovate two others - unspeakable. So a very big shout out for Alistair Gibson and the team from macD design pools. You got it in one. 60 metres down from the road kerb, total rock and, most importantly - almost no impact on the terrain nor vegetation. Thank you. ”We are very happy with both the fireplace and the service. ”Thank you, the service was excellent. ”I would like to thank your team for excellent service, clean work and a friendly manner. Even with our concern over the fireplace looking crooked, they dealt with my questions calmly and patiently. We can’t wait to enjoy our Rocal Fire! ”I just want to tell you that you have an awesome team who did our installation. They were unfailingly polite, helpful and professional. Really nice gentlemen, all of them. ”Our compliments to the installation team who worked neatly and were polite and helpful. ”The fireplace looks amazing and it was a pleasure having your team onsite. Really makes a difference! ”Your guys arrived on time, introduced themselves and set about their business. Mats were put down, no mess no fuss. Your main man is exceptionally good at what he does and runs the show. ”We are very happy and I would really like to compliment your installation team for their outstanding service, neatness and communication at all times. I will be a great source of referral business to your company! ”Andrew, from first to last interactions with yourself and your team I want to say thank you very much for your punctual, friendly and professional conduct. Your team are masters at work! ”Thank you so much for my fireplace it is awesome, the installer that came out was super friendly and professional and I am really happy with the service and product that I got from you, really, really happy thank you. ”The team of guys who installed it were FANTASTIC - very professional and an absolute pleasure to deal with. We couldn't believe how neat and efficient they were - when they left on Friday there was no mess or rubbish to clean up - they were great.